Fish Finger Sandwich: Chocolate-Orange Ice Magic! Bird's Ice Magic, simply put, is my favourite 80's ice cream topping. 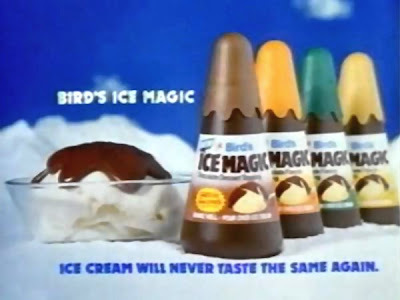 You'd squeeze it from it's conical bottle onto your ice cream of choice, at which point it would solidify into a hard chocolate shell. The available flavours were chocolate, mint, butterscotch, and best of all, orange. A quick bit of research shows that a few other people have successfully met the first two criteria by mixing melted chocolate with coconut oil. 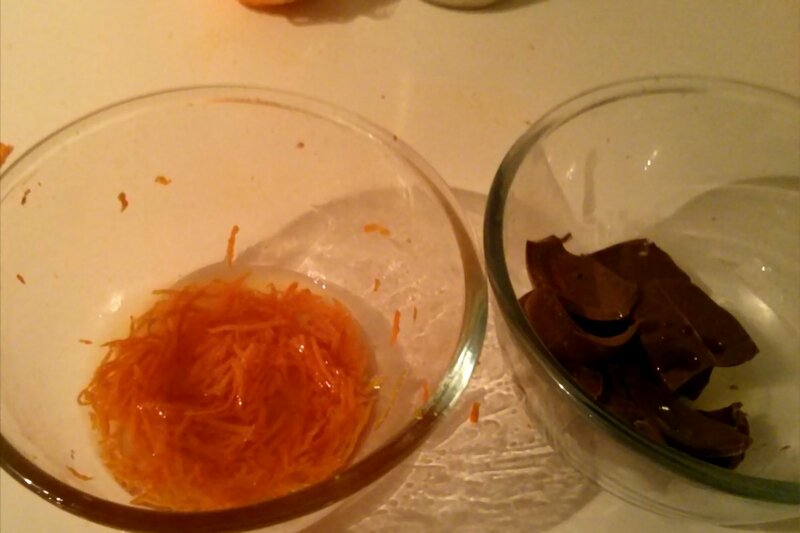 But I had to get the orange flavour in there, and also make sure that the oil didn't dilute the sweetness of the chocolate. I decided that the solution was to infuse the oil with orange rind, and add a little syrup into the mixture too. 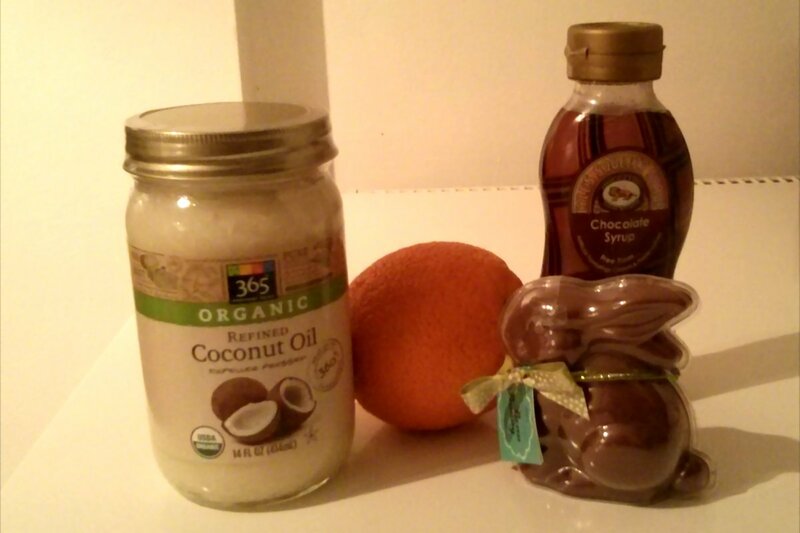 I put the rind of a large orange in a bowl with some coconut oil, and microwaved it on the lowest power for 20 minutes. The oil unsurprisingly turned an orange colour, and filled the kitchen with an amazing smell. 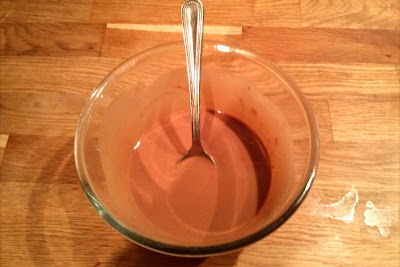 I strained the oil, then stirred in some milk chocolate (left over Easter bunny) along with a small squeeze of chocolate syrup. 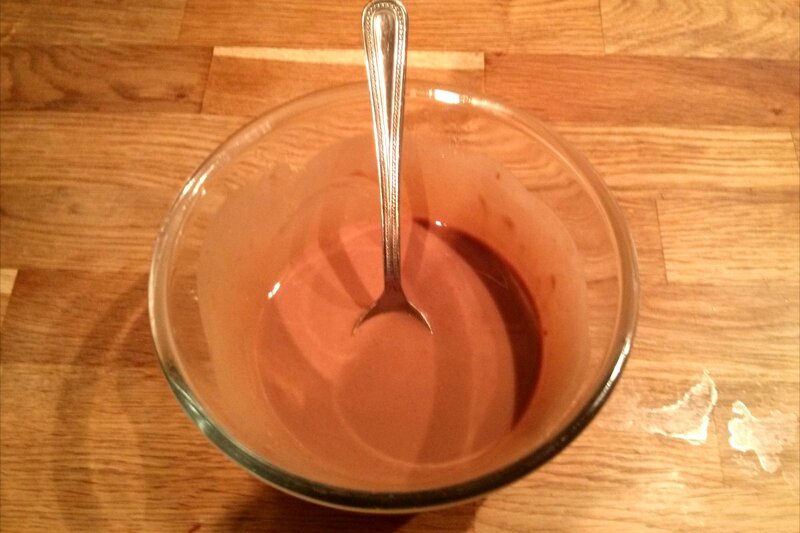 I heated it for a few more seconds until the chocolate had melted, and then left it to cool. 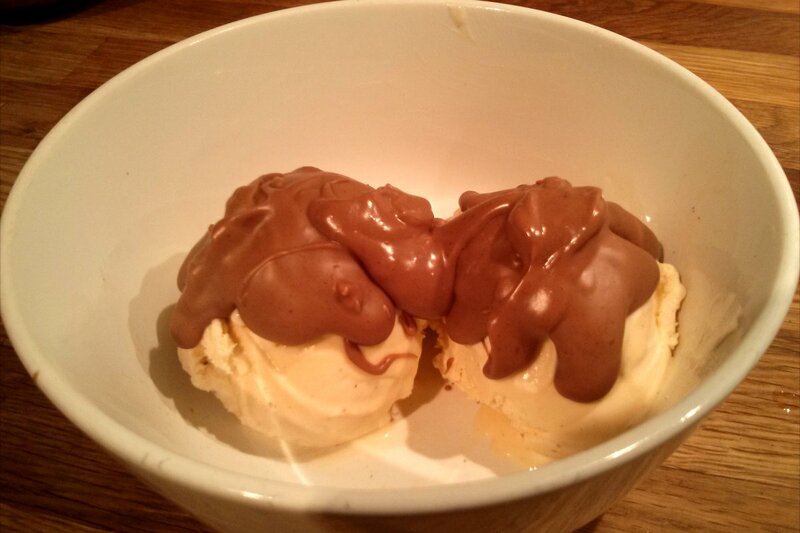 I spooned it over some cold vanilla ice cream, and sure enough, within a few seconds it had set solid! Victory was mine!